Jackie Fo: Red, White and Blue Round Up! Hi everyone! Hope everyone is getting through the week smoothly...its always hard when there's a 3 day weekend ahead! 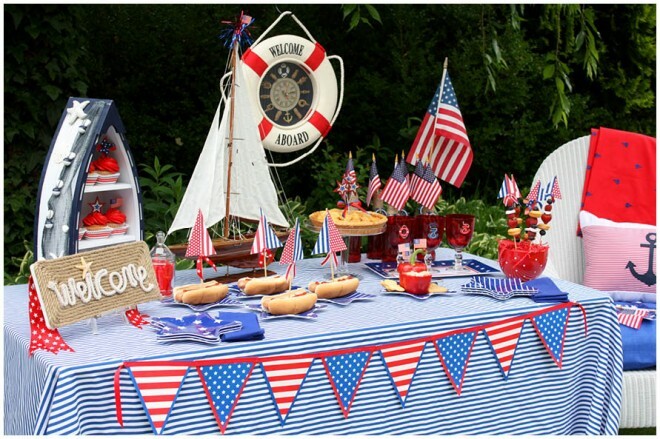 Plus, 4th of July is so festive and summery. And, remember those cousins I told you about in my last post? They're coming here for their annual 4th of July trip to Charlotte. 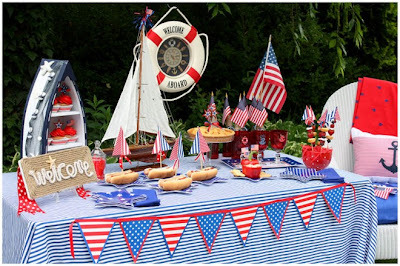 I am counting the days! In the meantime, here are some droolworthy red white and blue dessert tables and party ideas to get you in the mood! 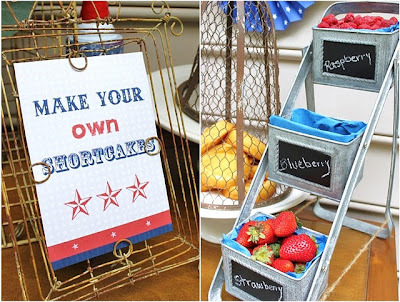 Make your own shortcakes? Love it!!! 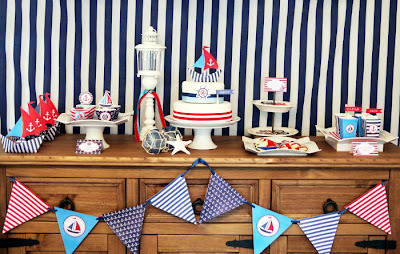 From the always creative and super sweet Chris from Celebrations at Home. 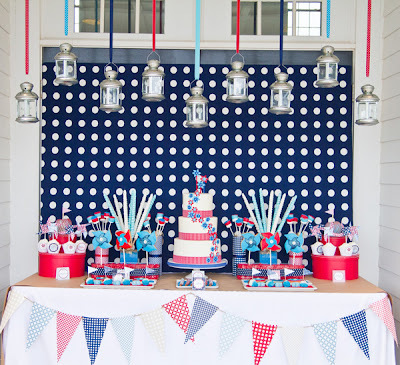 Here's a whimsical pinwheel party...I love the hanging lanterns!! 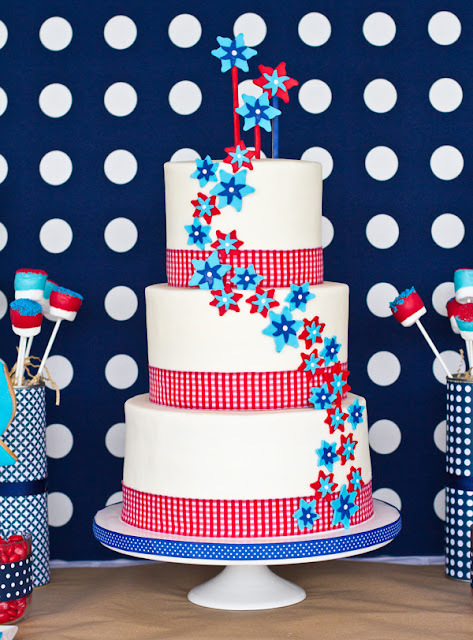 This cake is fabulous too! 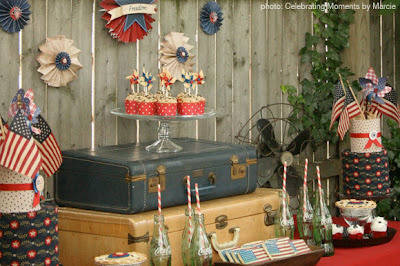 I LOVE this vintage party...the suitcases are perfect! 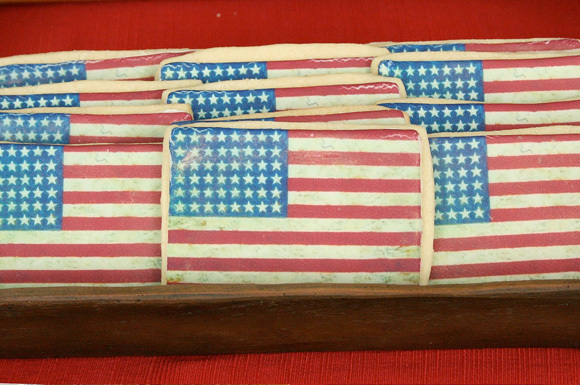 These faded flags are too pretty to eat! 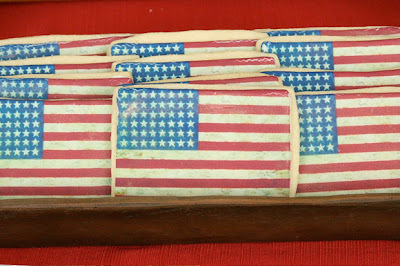 Remember these firecracker popsicles? 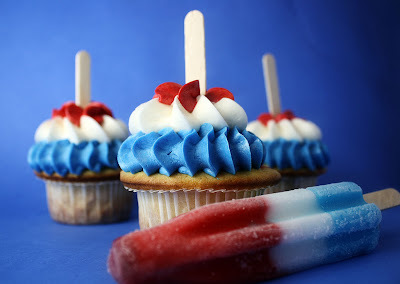 How about a cupcake version?! 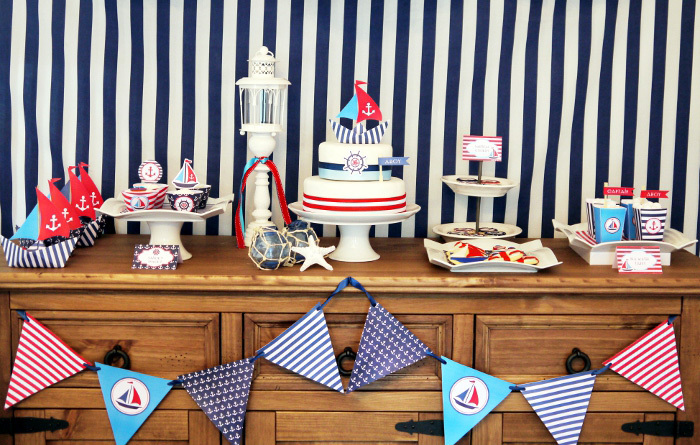 Here's another nautical themed party, this time from Courtney of Pizzzerie! I love the dessert skewers!! 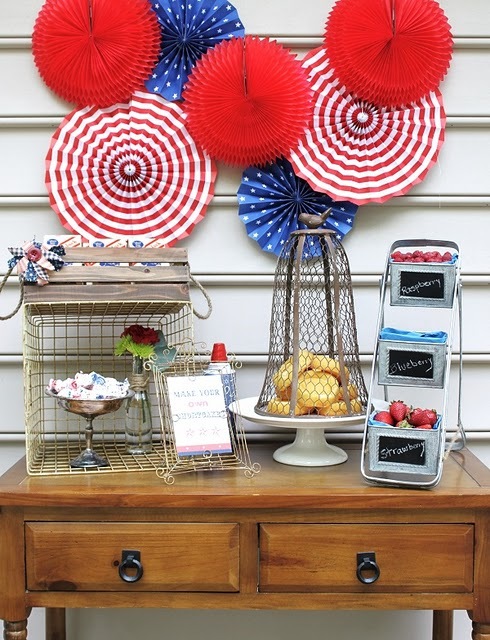 For more fabulous decorating ideas, check out JC's Loft for tons of other ideas for your 4th of July bash! 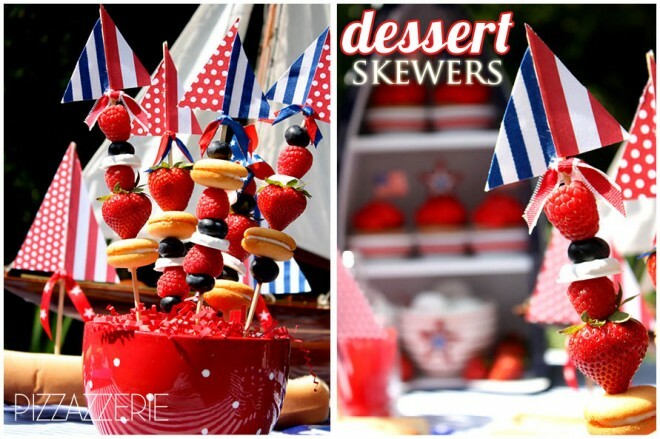 My cousins and I will be baking up a storm for my sister in law's 4th of July party, and I can't wait to show you the results! Great inspiration! Those cookies are incredible! 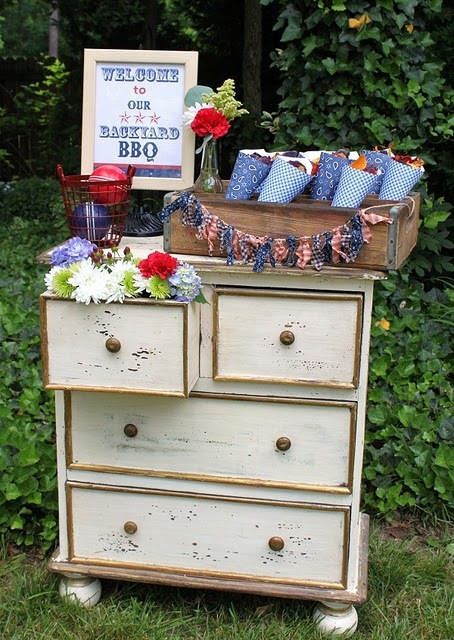 Thanks for the shout out girlie : ) Hope you have a wonderful 4th! love those firecracker cupcakes! I hadn't seen those! Such great inspiration - loving the berries! 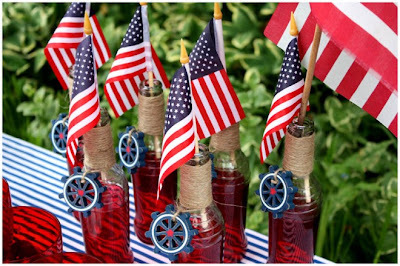 Hope you have a happy 4th!